A NEW partnership has been launched to help provide support and resources for women affected by endometriosis. 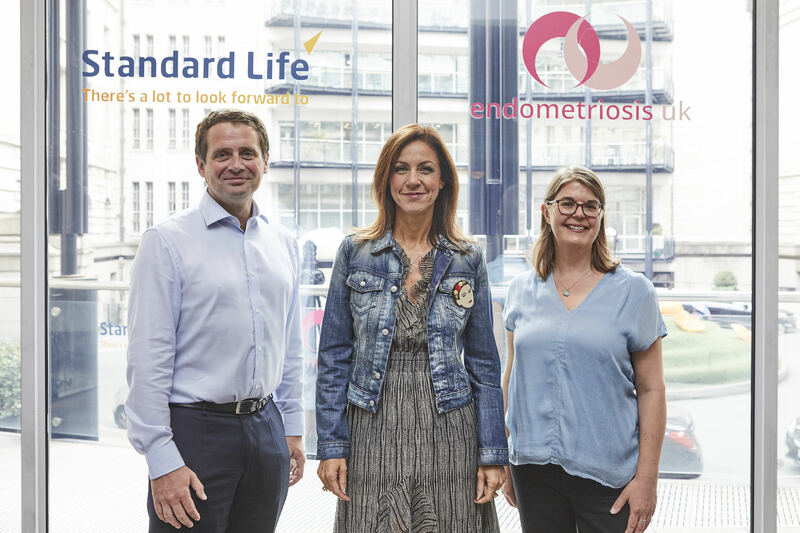 Live savings company Standard Life has teamed up with charity Endometriosis UK to highlight the needs of people living with the invisible illness and the challenges associated with long-term health conditions. The campaign aims to reduce the stigma that can often exist or be felt to exist when it comes to discussing particular unseen health concerns, which are suffered by millions, by bringing the conversation into the mainstream. It wants to gain a better understanding of the often unique challenges faced by those impacted by endometriosis, particularly in relation to planning for the future. The campaign is being backed by TV presenter Julia Bradbury, who suffers from the condition herself. Around 1.5 million women in the UK currently live with the disease, which takes on average seven-and-a-half years to successfully diagnose. Emma Cox, CEO of Endometriosis UK, said: “We need more organisations to follow Standard Life’s lead in attempting to cater more specifically for the needs of individuals who may require more tailored advice or flexibility in their working arrangements. CEO of Standard Life Savings, Barry O’Dwyer, said: “Throughout this campaign, we will work with partners who are experts in their field and who can advise us on how best to give this support. For 23-year-old student and journalist Katy Johnston, debilitating periods have been the norm since the age of 16. “I’d be in blackout pain for three days, couldn’t leave my bedroom, and I’d make plans around those few days of the month that I knew were going to essentially be lost to pain,” she says. It wasn’t until she was doing a post-grad at uni, aged 22, that Katy was finally diagnosed with endometriosis – an incurable condition where the endometrial cells, like those from the lining of the womb, grow elsewhere in the body. It typically affects other pelvic organs, and can cause pain, inflammation, fatigue, bowel and bladder problems, and in some cases, infertility. In Katy’s case, despite repeatedly mentioning her painful periods to her GP, nobody – including Katy – thought much of her symptoms for years. She says: “You just accept you’re unlucky and have bad periods. You have nothing else to compare it to, so you don’t really know what’s normal, and there’s still that ick factor around periods where no one really talks about it. But if it was any other pain that was recurring and causing that much devastation, you would question it. By the time Katy was referred for scans last year, she was vomiting six or seven times a day, rapidly losing weight, and in constant abdominal pain. “For a period of about eight weeks I was housebound because I physically couldn’t walk further than the shops. I ended up in A&E after passing out from the pain, and was given morphine to get through it,” she says. Scans and an initial surgery found that Katy’s bowel was fused to her uterus, and her right fallopian tube was the same size as her womb. She recalls: “My whole world’s been turned upside down. I’ve had to drop out of my postgraduate course, which was soul destroying. As someone who’s fiercely independent and really goal-oriented, it almost felt like a failure to say I needed a time out. While she waits to be well enough to complete her course, Katy’s been picking up bits of freelance journalism and radio presenting, but she does worry about how endometriosis will impact on her future career. “The work I’m doing now is freelance, so it’s really flexible, but the bottom line is there’s no stability and no security. If I don’t work, I don’t get paid. There’s no holiday cover, there’s no schemes in place for me to ensure I can pay the bills when I’m sick,” she says. 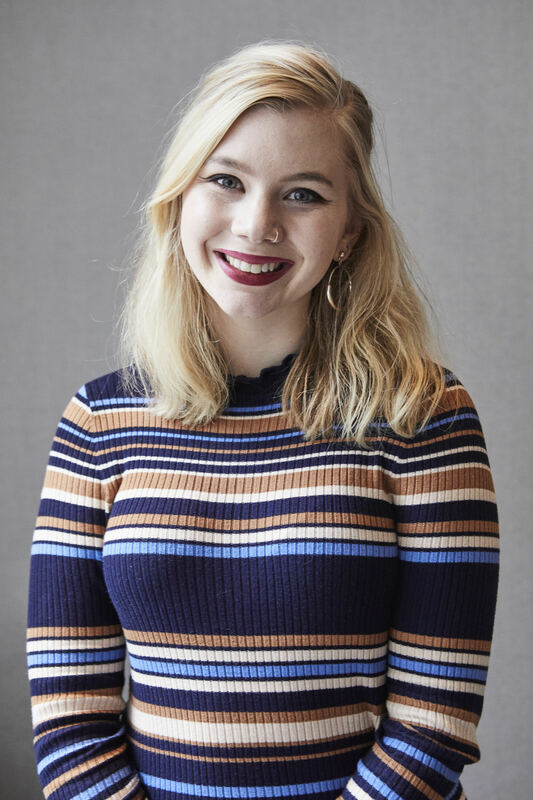 For her, opening up the conversation is vital to ensure women with endometriosis can live their best possible lives with the condition – a factor Standard Life say they are committed to supporting by bringing awareness of endometriosis firmly into the mainstream. A core element of that conversation will focus on the current extent of diagnosis time and the challenges around identifying the illness at an early stage. “The fact it takes an average of seven and a half years to get a diagnosis just shows that endometriosis has been in the shadows for far too long,” Katy says. “It’s so wonderful to see more people opening up a discussion, and I’m so impressed with Standard Life for putting this on the agenda. The workplace has to be a more open environment, where companies recognise invisible illnesses like endometriosis and work with their employees on things like wellness days and flexible or home-working policies. It’s just about normalising that conversation, and keeping the lines of communication open.